THE chief executive officer of the Brisbane-based charity Street Swags is embroiled in legal action with the board of the organisation she founded. Jean Madden, Queensland 2010 Young Australian of the Year, founded Street Swags in 2005 and since then has provided tens of thousands of waterproof sleeping bags to homeless people across the country. Legal documents tendered to the Supreme Court, suggest the dispute relates to the awarding of a $528,000 contract to Ms Madden’s de facto partner and the expenditure of $170,000 of the charity’s money. Ms Madden is a former Telstra Businesswoman of the Year and also won an Ernst and Young Social Entrepreneur Award in 2014. 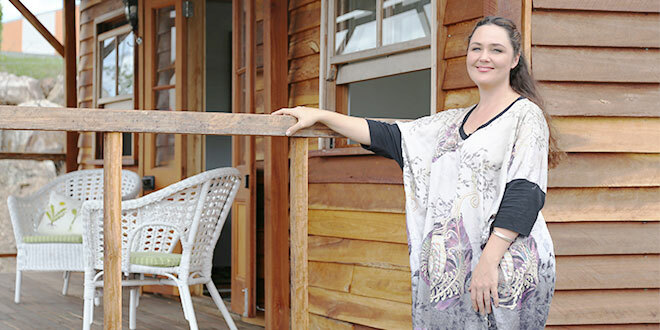 In March, The Catholic Leader reported on Ms Madden’s launch of a project called “Swags with Walls” a venture to produce cabins as shelter for the homeless, with a vision to provide life-skills training and potential to create hundreds of jobs. “Swags with Walls” operated from a factory in the Brisbane suburb of Darra, and had produced prototypes of one-room, two-room and three-room cabin models. The former teacher left the organisation and its board in May. Street Swags board has now lodged extensive legal documents with the Supreme Court which relate to Ms Madden’s de facto partner being awarded a $528,000-a-year contract for the manufacture of a minimum of 44 transportable cabins, and the expenditure of thousands of dollars to host lunches, make purchases and the purchase of a Toyota Landcruiser by way of a loan for Ms Madden’s “exclusive use and enjoyment”. Ms Madden posted an online video describing legal claims against her as “fantastical”. “I’ve had an impeccable career which has been outstanding with many awards and accolations (sic),” she said. A Street Swags board member confirmed that despite the ongoing legal dispute between Ms Madden and Street Swags, the charity continued to produce swags for the homeless. Prisoners, who gain qualifications and skills from the work, make the swags.